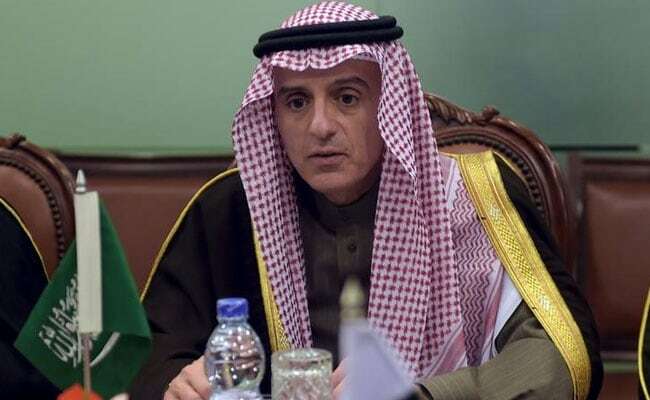 Washington: Saudi Arabia's Foreign Minister Adel Al-Jubeir has refused to publicly speak on reports that Riyadh was trying to buy nuclear weapons from Pakistan, but said the Kingdom will do whatever it takes to protect itself. "I am not going to get into details of discussions we have with foreign governments, and certainly not allied governments. I'm sure you understand," he said. "I would not discuss these things in a public forum, certainly not on television," he told CNN when asked about nuclear cooperation with Pakistan. His remarks came a day after US Secretary of State John Kerry warned both Saudi Arabia and Pakistan against indulging in trade of nuclear weapons, saying there will be "all kinds of NPT consequences" if Riyadh went ahead with any such plan. The warning from Kerry came amid media reports that Saudi Arabia is trying to buy nuclear weapons from Pakistan. Top Pakistani leaders have in recent weeks warned Iran of serious consequences if it attacked Saudi Arabia, which many analysts see as a nuclear threat from Islamabad to Tehran. "Saudi Arabia is committed to two things. I always say two things we do not negotiate over, our faith and our security. Saudi Arabia will do whatever it takes in order to protect our nation and our people from any harm. And I will leave it at that," Al-Jubeir said. "I discussed the bilateral relationship with Pakistan, which is a strategic one. We discussed the regional situation. We discussed ways to promote security and stability in the region. We discussed the negative and aggressive Iranian interference and the affairs of the region," he said. Responding to a question, the minister said Iran should seize interfering in the affairs of other regional countries. "Iran should cease to support terrorism. Iran should cease to assassinate diplomats and blow up embassies. Iran should cease to support militias whose objective is to destabilise countries in the region. Iran should cease its policy of negative propaganda in the region. Other than that, things should be fine with Iran," he said. Al-Jubeir said most countries are concerned over Iran getting billions of dollars as a result of the nuclear deal. "I think most countries in the world are concerned that Iran will use these funds in order to fund its nefarious activities rather than use them to develop its country and improve the living standards of its people. I hope I'm wrong," he said. Lashing out at Iran, he said Tehran harbours the leadership of Al-Qaeda, including one of Osama bin Laden's sons, and this is a country that has been aggressive and has demonstrated no inhibitions in using terrorism. "This is a country that has provided troops and recruited troops in a sectarian war in Syria that has allowed Bashar al-Assad to murder more than 250,000 of his people and to render 12 million of them refugees or displaced persons," he said.